This is a follow up to the Rich Fruit Cake recipe I posted here. 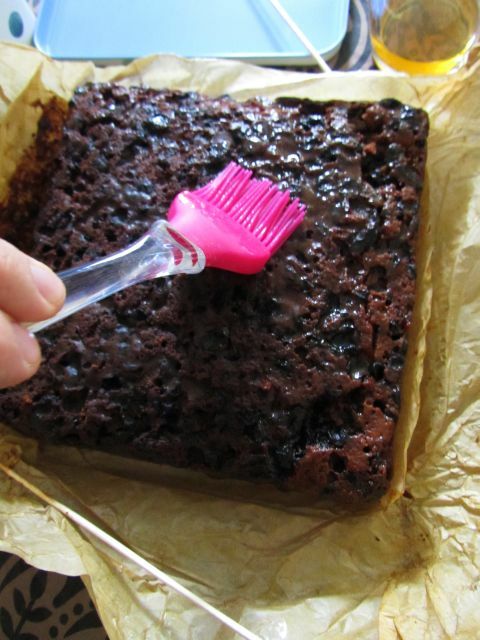 Feeding your fruit cake is ridiculously easy, promise! 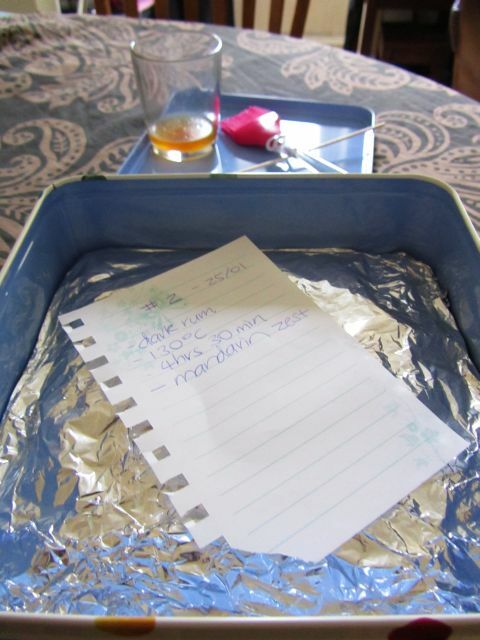 Quick Note: When I first bake the cake I always write a quick list of important details out and place it in the airtight container with the cake. When you’re aging your fruit cake for a couple of months its easy to forget which ingredients you used and the date the cake was baked. In this case it was handy to know I used dark rum so I didn’t accidentally “feed” it the wrong alcohol. 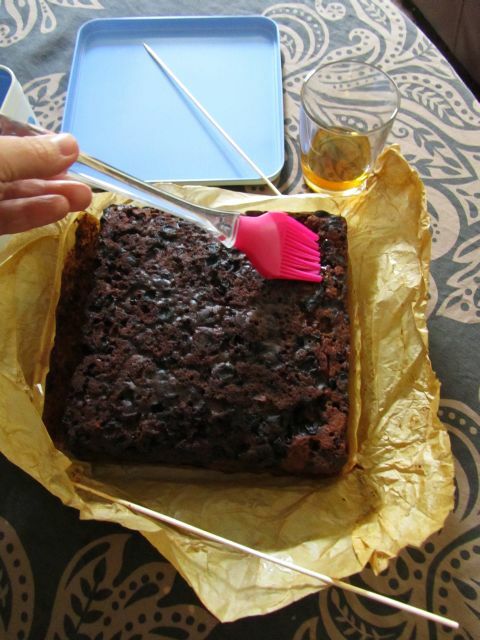 Though I must confess I have fed a fruit cake made with dark rum with scotch when I ran out, I’d probably avoid doing it again but the difference in flavour wasn’t noticeable. The little reminder note is also helpful when we finally eat the fruit cake. I’ll know this was a dark rum cake and that I used mandarin zest in place of orange zest. I put the baking time and temperature because my oven runs hot and if this cake turns out over cooked then I’ll know to make changes to the temperature or the baking time for the next one. If anything went wrong (maybe rum and mandarin aren’t a match made in heaven) then I’ll also know not to try that combo again! * Note: There have been a few people that have landed here asking if it’s okay if you forget to feed your fruitcake. Given how forgetful I am it’s no surprise that I forgot to feed the fruit cake we ate at Christmas for 7 whole months (oops). Whilst you SHOULD feed your fruitcake it’s not the end of the world if you forget like me. When you do remember you should then unwrap your fruit cake and eye ball it for mould in a well lit room. 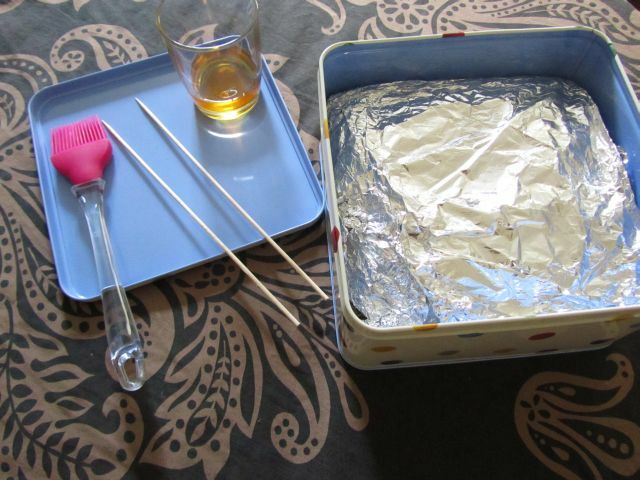 In my opinion as long as your cake was stored in greaseproof paper, foil and in an airtight container in a dark, cool pantry it’s unlikely those conditions will promote mould growth. The key is to CHECK your cake thoroughly. My feeling is that it’s probably a good idea to remember to feed your fruitcake at the end of the first month to up the alcohol it’s soaking in so if your forgetful like me then maybe make a concerted effort to remember that first “feeding”. When you finally remember about your fruit cake and have checked it thoroughly for mould, feed your fruit cake before re-wrapping it. DISCLAIMER: This is only my opinion and my personal experiences. 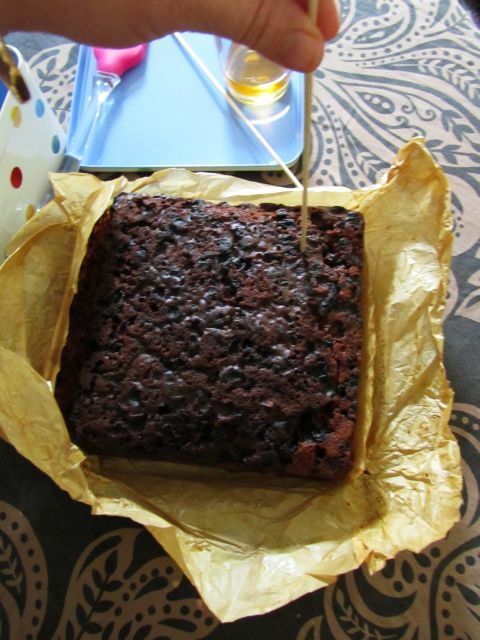 I like in a mild climate (England) and have no experience feeding fruit cake in hotter climates (like my homeland). Please check your fruit cake thoroughly for mould and of course, if in doubt don’t risk you or your families health and chuck it out!